Got 16 minutes of free time and a hankering to find out more about the upcoming Dying Light expansion The Following? Then you might want to turn your attention this IGN video that follows the opening minutes of the game, complete with narration from Producer Tymon Smektata. The Dying Light situation is getting worse in The Following, as more people are getting sick and there's not enough Antizin to go around. But the hero—that's you again—hears a story about a group of people with a natural immunity to the infection, and thus begins the new adventure across the more open, sprawling, dune buggy-friendly countryside in which The Following takes place. 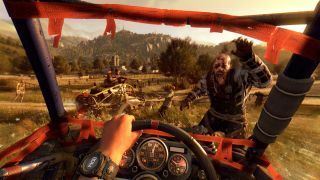 Dying Light: The Following will be out on February 9, and will go for $20, or $30 as part of the Dying Light season pass.